Our impression is of a British Airborne paratrooper during WWII. We portray the 9th Parachute Battalion, A company, 2nd platoon. We strive for authenticity in weapons, gear, drill, and tactics used by the British empire during WWII. Our unit was formed February 2005 by five members with a similar passion for the history and heritage of the 6th Airborne. 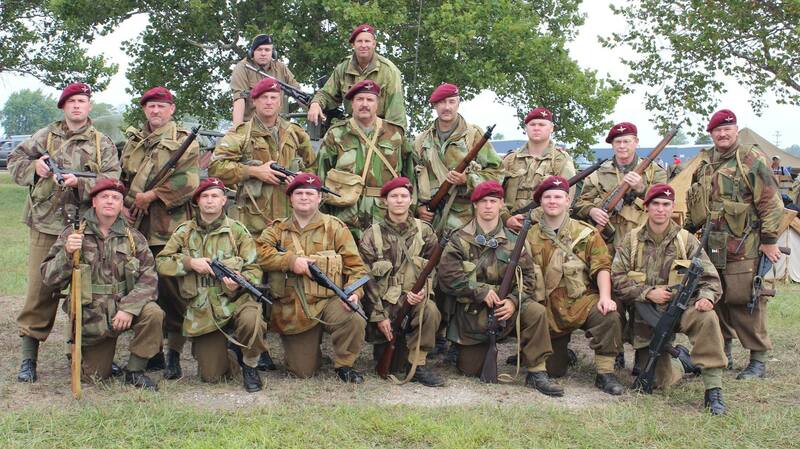 The 9th Parachute Battalion is made up of members from Michigan, Indiana, and Canada. Some members participate in other eras of reenacting, such as Civil War. We also have different WWII impressions; Corps of Military Police (Redcaps), British Infantry, Austrailian Commonwealth, and Scottish Argyll and Sutherland Highlanders. Our main focus though is the 9th Para. 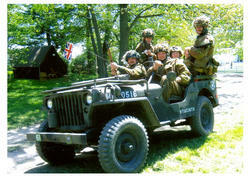 We participate in tacticals (no public) and living history (public welcome) events. We have even done classroom presentations at schools, explaining WWII history and the equipment we wear. We even attend toy soldiers shows, so the kids can see how to paint their soldiers. We are part of a group that sets up in a original British cottage at Henry Ford, Greenfield Village, Michigan for the "Winter Nights" event taking place every weekend in December. We class ourselves as a learning unit. Every event we learn something new. It is really exciting to talk with veterans. They are the ones who were there and are able to tell us what the War was really like for them. You can not help yourself but to listen. Books can tell you what to do, but the Veterans tell you how they did it. You get a great sense of pride when a Veteran comes up to you and tells you that you did a bang up job, or your equipment is dead on. We are an HRS affiliated group. Lowell May, 2006. "Chasing the Jerries"